Amid tributes, shock and sadness, conspiracy theories have circulated online in response to the shooting of US rapper Nipsey Hussle. The 33-year-old was shot outside his Los Angeles clothing shop on Sunday. Police say 29-year-old Eric Holder is wanted in connection with his death. But as is often the case following high-profile crimes, social media users have responded to his death by alleging a vast, complex conspiracy. Videos are circulating on YouTube, Twitter and Facebook in which Nipsey Hussle's death is being blamed, without evidence, on one or more of the government, pharmaceutical companies or the Illuminati - a nebulous group of elites that conspiracy theorists claim secretly controls the world. Search results for "Nipsey Hussle" on YouTube include several such videos, some of which have accumulated hundreds of thousands or even millions of views. 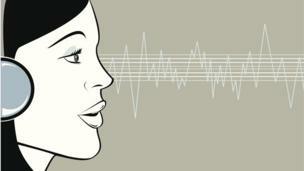 YouTube has been approached for comment. Adherents claim - baselessly - that the rapper was murdered because he was working on a documentary about Dr Sebi. On Twitter, the speculation propelled the herbalist's name into the top trends, with some noting that former TLC musician, Lisa 'Left Eye' Lopes, had been visiting Dr Sebi in Honduras before she died in a 2002 car crash. Conspiracy theories were further fuelled by the rapper's cryptic final tweet, sent on the day he was killed. Alfredo Bowman was a herbalist and self-proclaimed healer whose client list included a number of celebrities. 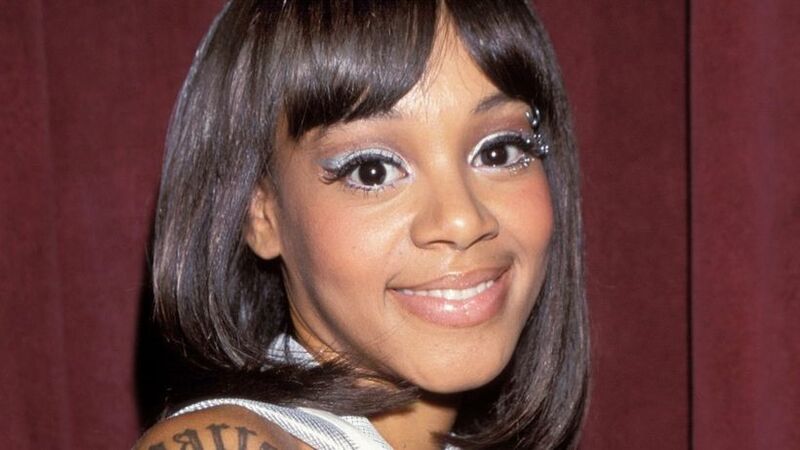 Lisa 'Left Eye' Lopes, John Travolta and Michael Jackson are all reported to have been clients. Bowman claimed to have developed a miraculous herbal cure for a host of "pathologies", including "arthritis, asthma, cancer, AIDS, diabetes", and placed adverts to that effect. He never studied medicine and did not have a medical licence. In 1987, Bowman reached an agreement with the attorney general's office in New York that stopped his USHA Research Institute from making any therapeutic claims. Giving evidence to a 1993 congressional hearing, New York assistant attorney general Shirley Stark described Bowman's assertions as "a particularly glaring example of unsubstantiated therapeutic claims". "These claims were false," she added. "Our office filed suit against USHA and entered a consent agreement under which USHA can no longer make therapeutic claims for any of its products." Subsequently charged with the unauthorised practice of medicine, Bowman was found not guilty when a jury determined it had not been proven that he had been making medical diagnoses or prescribing medicinal substances. Nipsey Hussle appears to have believed the herbalist's claims. Hussle's song Blue Laces 2, from 2018 album Victory Lap, contains a lyric which references Bowman's death. 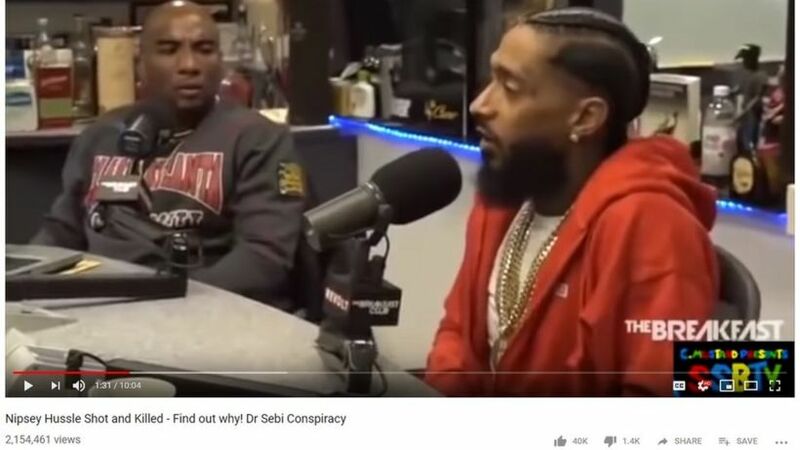 "They killed Dr Sebi, he was teaching health," the rapper says. He was in the process of making a documentary about Bowman's trial in the 1980s. Following the news of his death, actor Nick Cannon indicated that he would finish the Bowman documentary. "Can't kill us all," he posted on Instagram, alongside a number of videos - viewed millions of times - featuring the Honduran herbalist. You might also be interested in: The people who think governments control the weather The people who think 9/11 may have been an inside job The people who think mass shootings are staged What really happened to Nipsey Hussle? 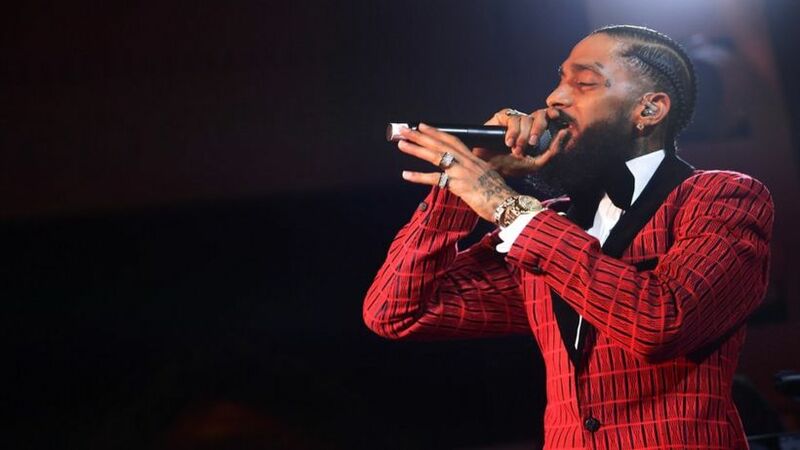 Nipsey Hussle was shot dead outside his clothing shop in Los Angeles on Sunday. Two other people were wounded. According to TMZ, surveillance footage shows a man in a dark shirt firing at least three times before fleeing.